Ben Sherman Tailoring men's 1960s mod tonic suit waistcoat in bright blue. 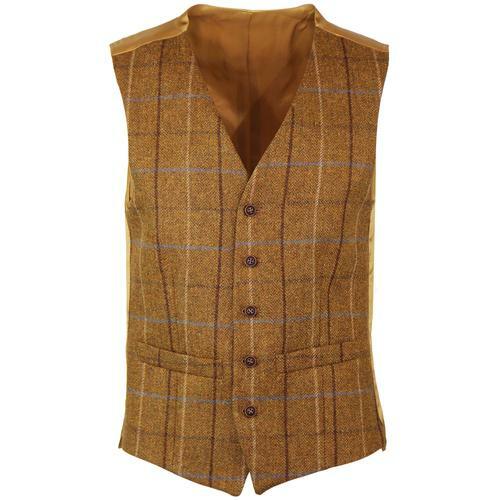 This classic retro V-neck waistcoat boasts a striking two tone tonic wool blend fabric front panel and a subtle navy sateen back panel with tab adjuster. 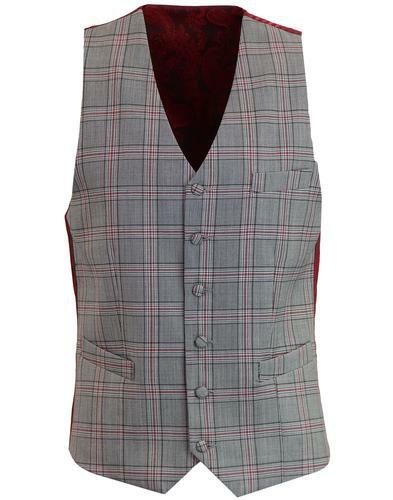 5 button fastening, 2 side pockets and a stylish Mod Revival inspired scooter lining finish the waistcoat off in style. 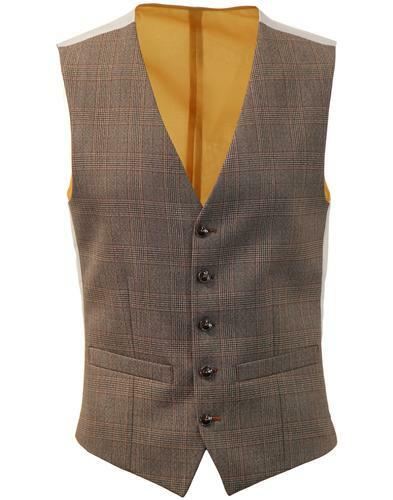 You can team this Ben Sherman Tailoring retro tonic waistcoat with the matching mod two button suit blazer and slim leg trousers to create the ultimate three piace suit. Bright blue two tone tonic fabric. 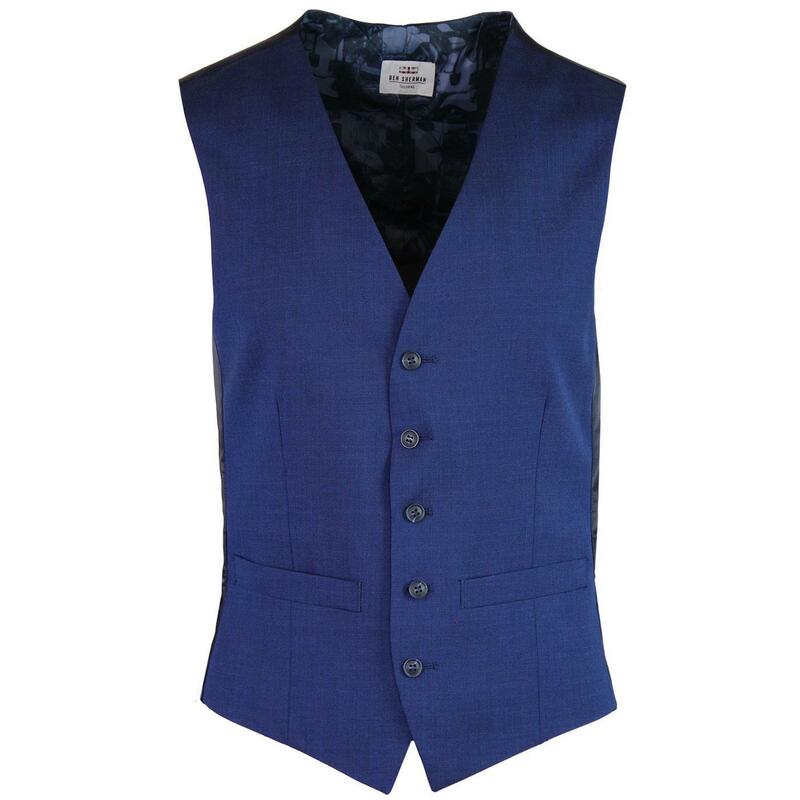 Retro tab adjuster to plain navy sateen back panel.